When you need help from a legal professional, one of the first questions that typically surfaces is whether or not the guidance of an attorney is something you are able to afford. Depending on your needs, fees come in varying degrees that can be based on size of the law firm, geographical location, individual circumstances and even the area of law under consideration. 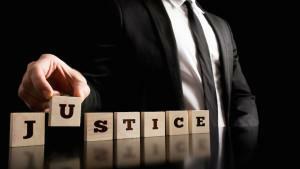 The method in which the attorney collects for their services is also a key factor. In a recent story on KRDO in Colorado Springs, David McDivitt was asked to comment on the attorney’s fees that had accumulated during the aftermath of the Black Forest Fire of 2013. He explained some of the fee arrangements that are available. If you haven’t had experience enlisting the aid of a lawyer, you are probably unfamiliar with the different fee matrix used by these professionals. Below are some of the different arrangements you might encounter. Read on to familiarize yourself with these financial expectations in order to prepare yourself mentally and financially in the event you need an attorney. Like many businesses providing a product or service, hourly fees can be established and charged to clients for services rendered. Similarly, flat-rates are available so a set fee will be charged, regardless of the time it will take to complete the task. These fees can be collected in a number of ways. They can be sent in the form of a bill or invoice to the client for payment after the service has been provided. Alternately, some attorneys will ask for their fees prior to services being rendered, as a retainer. A fee that is paid ‘up-front’ is called a retainer. Typically, if your attorney works on retainer, the attorney collects all or a portion of the fee at the beginning of the case and then “draws down” the fees as work on the case progresses. If there comes a point when the retainer has been exhausted, many times a new contract or retainer will be established. Along those lines, if your case is closed and there are funds remaining from your retainer, these will be refunded to you by your attorney. Many times when attorneys are working for the plaintiff in a civil case, they operate on a contingent fee basis. Most jurisdictions in the US prohibit attorneys to perform family and criminal law matters on the contingent fee basis. The contingent fee system provides that a percentage of the settlement will go to the attorney, but the attorney will only receive payment if and when the client receives a settlement. If the client does not receive a settlement the attorney will not receive any fee. This means that the law firm has “skin in the game” and risks the time and effort of the attorney and team for the benefit of the client. McDivitt Law Firm only represents clients on the contingent fee system under the premise that ‘meaningful access to the civil justice system is a right that should be provided to everyone regardless of the ability to pay’. In fact, McDivitt will advance and pay any expenses necessary to handle your case – even through a jury trial, if necessary. If you find that you need an attorney to help you get money for your injuries and damages caused by the negligence or careless actions of someone else, contact one of the experienced attorneys at McDivitt Law Firm today to request a FREE consultation. We have been serving clients in the state of Colorado, and around the country, for over forty years and look forward to speaking with you.